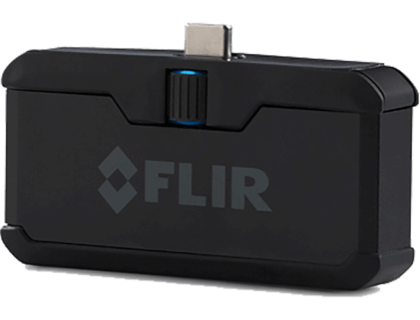 Learn more about the Flir ONE PRO-MICRO-USB 435-0011-03 Thermal Imaging Camera. Includes features, pricing, and FAQs. The FLIR ONE is a pocket-sized thermal imaging camera designed for detecting electrical problems, leakages, and other heat-related issues in homes and buildings. The camera attaches to your smartphone and allows you to view images on your screen. Pros: MSX-enhanced images, good temperature resolution, various file formats. Cons: No auto-discovery, occasional connection issues. Bottomline: Great budget thermal camera for self-employed individuals or personal use. The Flir ONE thermal camera retails for $399.99. Does the Flir ONE Thermal Imaging Camera have MSX Enhancement? Yes, the Flir ONE PRO-MICRO-USB 435-0011-03 Thermal Imaging Camera has MSX and VividIR enhanced image processing and video capabilities to give you the sharpest thermal images. Is there a Flir ONE mobile app? Yes, the Flir ONE comes with a free mobile app with multiple spot meters, automated reporting, and real-time professional tips. Where can I buy the Flir ONE Thermal Imaging Camera? 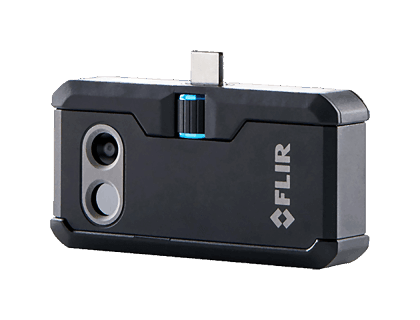 You can buy the Flir ONE by clicking on the link above, or from sites like Amazon and Megadepot. What are some Flir ONE Thermal Imaging Camera alternatives? Flir E6 Thermal Imaging IR Camera with WiFi.